Actress Joanna Lumley will embark on her first ever live tour during October and November 2018 – and it's sure to be Absolutely Fabulous! 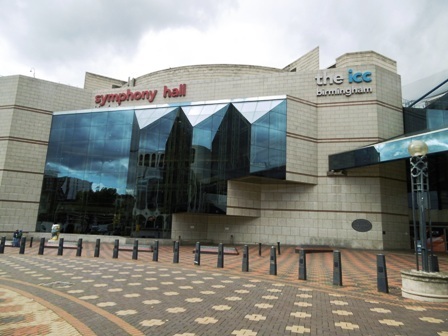 The 71-year-old's It's All About Me show will visit Birmingham Symphony Hall on October 9. The 30-date tour begins on October 6 at Belfast's Waterfront Hall and concludes in Aylesbury on November 10. Joanna, who was recently confirmed as the host of the 2018 BAFTA awards, will entertain audiences with tales from her four decade career which has included starring in Absolutely Fabulous and The New Avengers. She will be joined on stage by friend and producer Clive Tulloh, who will put to Joanna questions from the audience. The star burst onto British TV screens as Purdey in The New Avengers in 1976 but before that she was a model in London in the swinging '60s. She began as Jean Muir's house model and muse, then progressed to become a photographic model, featuring in knitting patterns, mini-skirts, toothpaste commercials and the occasional front cover. Her acting career includes Coronation Street, On the Buses, Dracula and being a Bond Girl in On Her Majesty's Secret Service. The role of Purdey propelled Joanna to instant fame and created one of the must-have hairstyles of the 1970s – the Purdey bob. She became a pin-up figure for a generation of British males who grew up watching her as the high-kicking action girl. Alongside iconic hairstyles, Joanna developed a sideline as adventurer and activist, popping up all over the globe on television documentaries and travelogues. As Patsy Stone in Absolutely Fabulous she became a degenerate role-model for a generation. For 25 years the adventures of Patsy and Edina have sporadically lurched across our screens, culminating in AbFab The Movie in 2016. Nov 10: Waterside Theatre, Aylesbury.